WSZYSTKICH UCZESTNIKÓW SESJI RADY GMINY GORLICE INFORMUJEMY, IŻ OBRADY SĄ TRANSMITOWANE I UTRWALANE ZA POMOCĄ URZĄDZEŃ REJESTRUJĄCYCH OBRAZ I DŹWIĘK. TRANSMISJA OBRAD JEST DOSTĘPNA W SIECI INTERNET, NATOMIAST NAGRANIA Z SESJI W BIULETYNIE INFORMACJI PUBLICZNEJ I NA STRONIE INTERNETOWEJ GMINY. 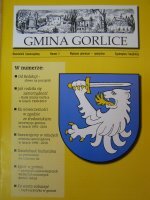 adres e-mail: iod@gmina.gorlice.pl , tel. 502 639 006.